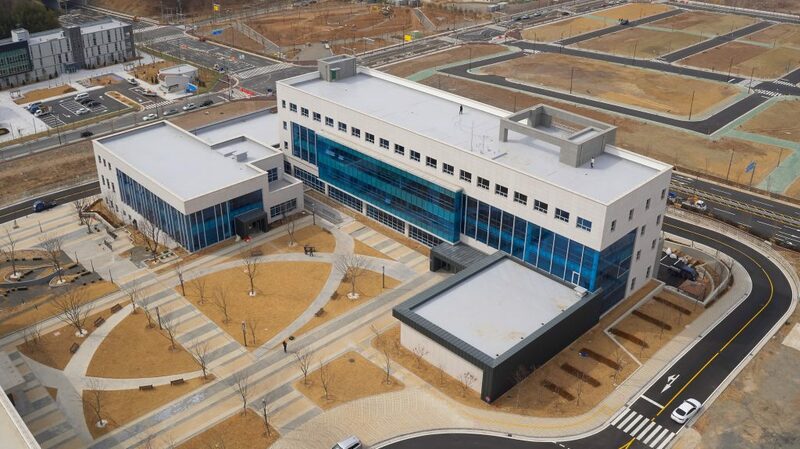 The new four-story, 9,109-square-meter building is located near the Ulsan Industry-University Convergence District in Duwang-dong, Nam-gu. UNIST's new campus opened its doors to students on February 27, 2018. 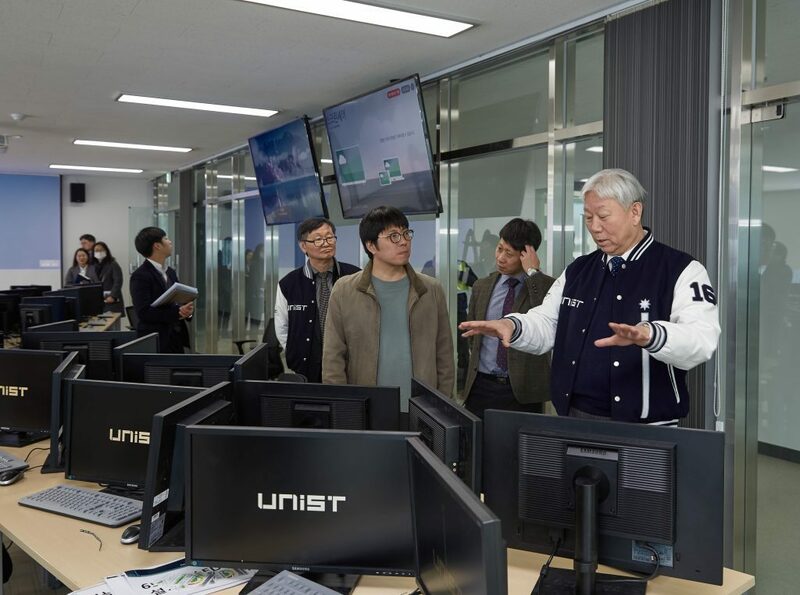 The new campus of UNIST, dubbed ‘Industry-University Convergence Center,’ has opened its doors to students for the first time, this Spring season. 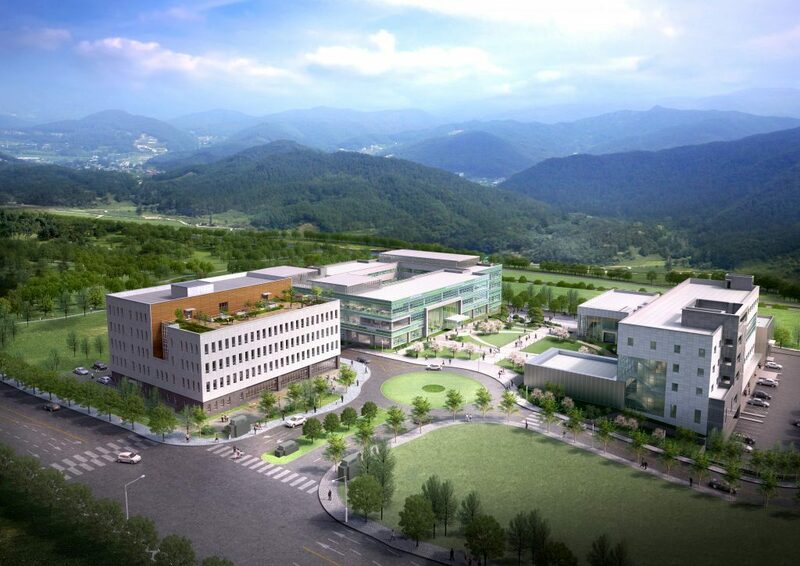 Located near the Ulsan Industry-University Convergence District, the new campus features research laboratories, lecture rooms, a prototype manufacturing space, as well as a corporate information analysis room. 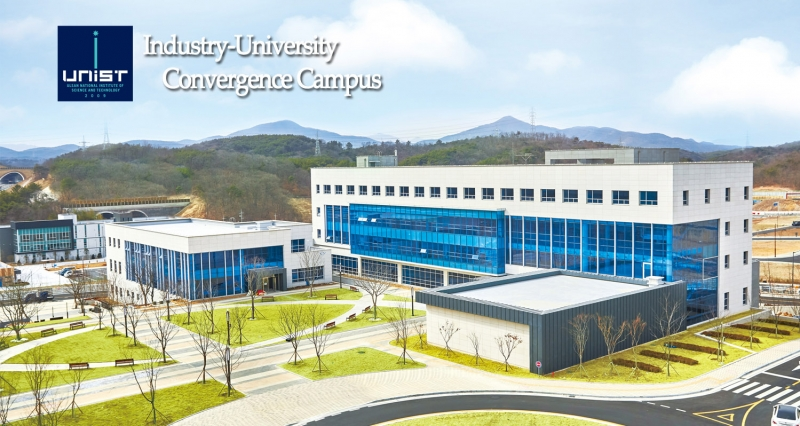 Aerial view of UNIST’s new campus, Industry-University Convergence Campus. This four-story, 9,109-square-meter building will be the new home for the School of Management Engineering, the School of System Design and Control Engineering, the Graduate School of Technology and Innovation Management, and the Graduate School of Interdisciplinary Management. About 200 students and 20 faculty members will study and carry out cutting-edge research at the new campus. UNIST currently provides a free shuttle bus service to assist students and staffs travelling between two campuses for the purpose of attending lectures or attending to university business. The shuttle bus service operates Monday through Saturdays from 8AM to 10PM (9:30PM on Saturdays), but not on Sundays and holidays. 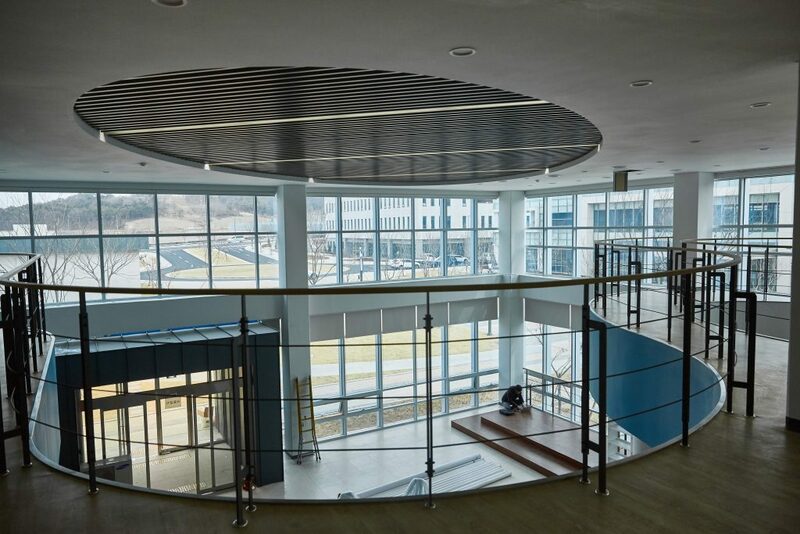 The inside view of the second floor lobby area. The new campus comprises four floors and a basement with a gross floor area of 9,109㎡. 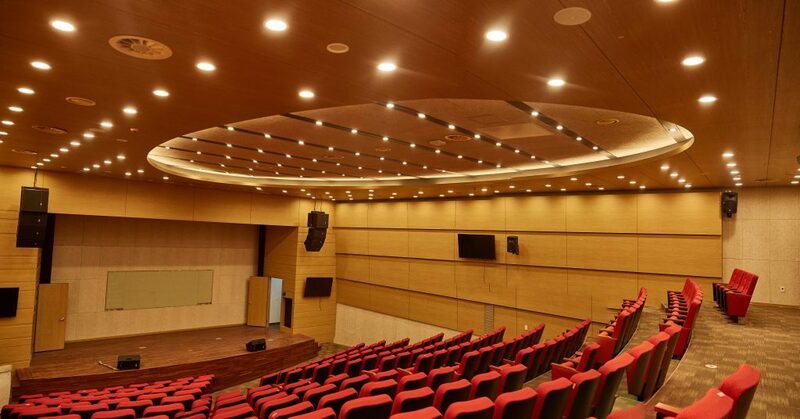 The new campus includes a large lecture hall, smaller lecture rooms, as well as various laboratories to carry out cutting-edge research. On February 23, TFT had a final meeting to inspect and confirm the building work.